Chasm approaches beats like a learned artist with a brush, building on classic principles to create evolutionary new music. The collection of beats chosen for the album vary from old to new, moving through down tempo, blunted soul, up-tempo funk, and reggae. Lead single The Truth with its eclectic sample combinations, fuses Latin piano loops with brass accents and futuristic synth solos. Bringing a new shine to the art of braggadocio, the track features emcees The Tongue, Hau, and Dazastah. Vast Aire and Dialect team up on the sample-heavy Intergalactic. The two brilliant rappers attack the beat as it slams alongside an eerie drone, while delicate piano flourishes glint throughout. I Am Legend features the masterful AG and Delta riffing over classic boom bap teamed with driving keys. Lyrically the track is a soulful reminisce to hip hop’s greats and the legacies left and lived by. This Is How We Never Die is certain to be a historical cornerstone reflective of the unifying strength hip hop inspires. A testament to the power an accomplished producer possesses, bringing the most diverse of artists and fans together. 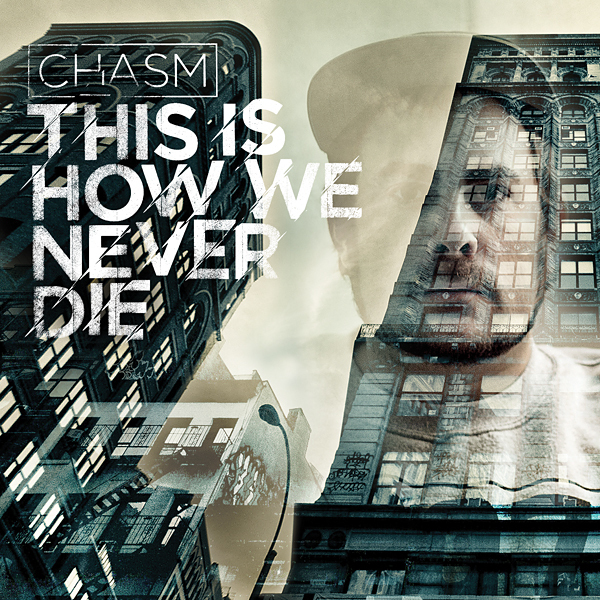 Chasm – This Is How We Never Die is available through Obese Records on April 27.